Toshiba announces World's First 12.5-inch 4K Ultra HD Convertible Laptop - The Satellite Radius 12. One of industry's first small-screen PC's to enable facial authentication with Windows Hello. Technicolor Color Certified 4K Ultra HD display with IPS technology delivers true-to-life color and clarity. Incredible performance and power-efficiency powered by 6th Generation Intel® Core™ processors. Toshiba's Digital Products Division (DPD), a division of Toshiba America Information Systems, Inc., today announced the Satellite Radius™ 12, a compact 2-in-1 laptop designed with expert technologies to best meet the performance demands of today and tomorrow. The world's first1 12.5-inch convertible laptop with a 4K Ultra HD display2, the Satellite Radius 12 features top-of-the-line screen and sound quality, a sleek, lightweight design and 6th Gen Intel® Core™ processors3 that deliver maximum mobile performance and excellent battery life. "Through our deep relationships with our partners at Microsoft, Intel and Technicolor we have designed a top-of-line compact PC that delivers the new gold standard in screen, sound and performance for an unmatched computing experience on Windows 10," said Philip Osako, senior director of product marketing, Toshiba America Information Systems, Inc., Digital Products Division. "The Satellite Radius 12 expertly blends the latest technology into an extremely powerful, yet compact and easy-to-carry PC that is not only versatile, but durable enough to handle a highly mobile lifestyle." The Satellite Radius 12 is one of the first small-screen PC's to enable facial authentication with Windows Hello, powered by an on-board infrared camera. Windows Hello enables customers to log in to the laptop instantaneously using only their face. "Toshiba has made significant investments to deliver an exceptional customer experience across its portfolio of Windows devices," said Peter Han, Vice President of Worldwide OEM Marketing, Microsoft Corp. "Toshiba's Satellite Radius 12 provides an optimized experience that allows customers to take advantage of some of the exciting new features in Windows 10 including Windows Hello." The Satellite Radius 12 can be configured with a brilliant 12.5-inch diagonal IPS touchscreen display with a native 4K Ultra HD (3840 x 2160) resolution that yields four times as many pixels as a Full HD display. Designed with color accuracy in mind, the wide gamut RGB display supports 100% Adobe® RGB color space reproduction, making it an ideal choice for mobile content creators. Lab tested and certified by the color experts at Technicolor®, this laptop's display also meets the same strict standards for color fidelity used in Hollywood movies. "As our global society embraces a mobile lifestyle, Toshiba has released a solution for consumers that offers no compromise when it comes to delivering digital life and entertainment experiences," said Manuèle Wahl, SVP Technology and Trademark Licensing, Technicolor. "Technicolor has certified that the color accuracy offered by the Satellite Radius 12's 4K Ultra HD display delivers color faithful to the intention of all content creators for viewing and enjoying digital content, including movies, episodic television, online shopping, games and more. Just as Technicolor has spent the past 100 years bringing amazing color to traditional venues in theaters and homes, our partnership with Toshiba will ensure that the same high-fidelity experience is extended to consumers whenever they want—wherever they happen to be." The laptops are powered by 6th Gen Intel Core processors, which deliver significantly improved computing performance, enhanced graphics and better power efficiency than the previous generation, resulting in a long battery life rating. The new processor offers powerful performance for streaming video, offering life-like HD video conferencing using popular apps like Google Hangouts™ and Skype™, while its increased graphics performance is ideal for Xbox® gaming on Windows 10 with DirectX® 12 support. 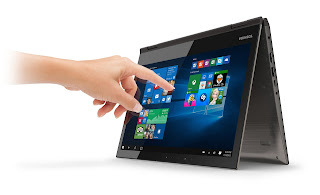 "We're excited with the introduction of Toshiba Satellite Radius 12, a new generation of 2-in-1 based on the 6th Gen Intel Core processor," said Navin Shenoy, corporate vice president and general manager of Intel's Mobile Client Platforms Group. "The 6th Gen Intel Core processor is Intel's best processor ever, providing users with great performance for productivity and multi-tasking. 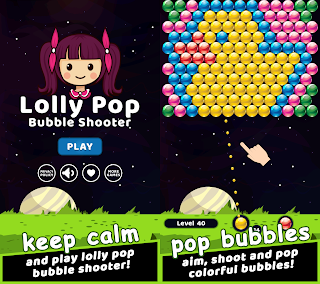 Its improved graphics and long battery life also offer seamless and smooth gaming and video experiences on the go." The Satellite Radius 12 features a sleek, highly-mobile compact design housed in durable aluminum to safeguard against the rigors of daily use. Designed for travel, the device weighs just 2.9 pounds4 with a slim 0.6-inch profile and includes a 360-degree precision hinge that offers smooth transitions between its five viewing modes—Laptop, Tablet, Tabletop, Presentation and Audience. The laptop features a Brushed Metal Finish in Carbon Gray and includes an LED backlit keyboard. The laptop's high-performance display is reinforced with all-new Gorilla® Glass NBT™, which offers 8x-10x higher scratch resistance than soda lime glass displays, plus high levels of damage resistance so it is better able to withstand the shock of accidental bumps as it's carried from place to place. The Satellite Radius 12 will be available for purchase in the U.S. starting in the fourth quarter of 2015. 0 comments on "Toshiba's Satellite Radius 12 is World's first 12.5-inch convertible laptop with a 4K Ultra HD display"